I'm really pleased with the way these batches turned out. I got a bottle of black food coloring, which didn't turn out black (the colors separate during the dyeing process), but instead some awesome shades of purpley and orangey brown. 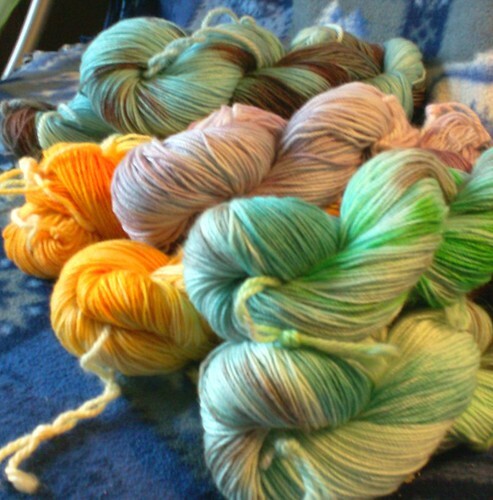 The colorways in this batch are Canary's Song, Beach Surf, Parma Violet, and Green-Winged Teal. I'll be listing them over the weekend. Love the colors, great variety!! Theyr'e very lovely! They remind me of spring for sure! 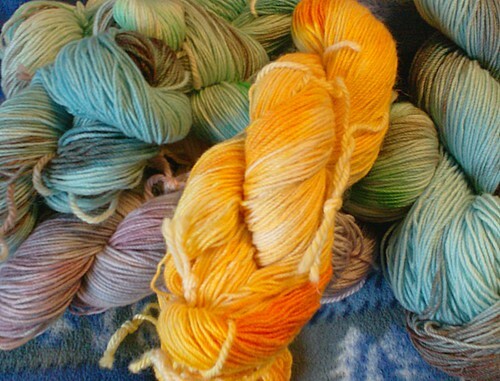 Wow, that yarn is just delish!